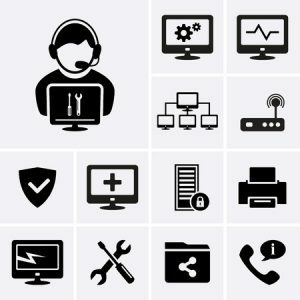 IT support in Houston can help you maximize the utility of your technology systems by ensuring that you get the most use out of them, while also not maintaining them beyond obsolescence. Maintaining old systems too long— clinging too tightly— will eventually rescind your ability to properly control or benefit from them. There’s a “sweet spot” which differs from business to business, and without professional assistance, it can be difficult to determine just where your sweet spot lies. What’s harder to hack: a slide lock, a padlock, a combination lock, or an encryption? With each technological upgrade, security increases. But as things become more secure, hackers figure out new ways around such protection measures. A padlock is broken with bolt cutters. A combination lock is overcome by a safe cracker. These days, there are apps you can download on your phone which can hack encryption that isn’t to the highest standard. Refraining from upgrading here can really cost you. IT support in Houston should be able to help you apply the right level of security.